Summer, Winter, Autumn, Spring- Sorbet has picked our top 5 best post facial products that will keep your skin fab, fresh and most importantly moisturized! 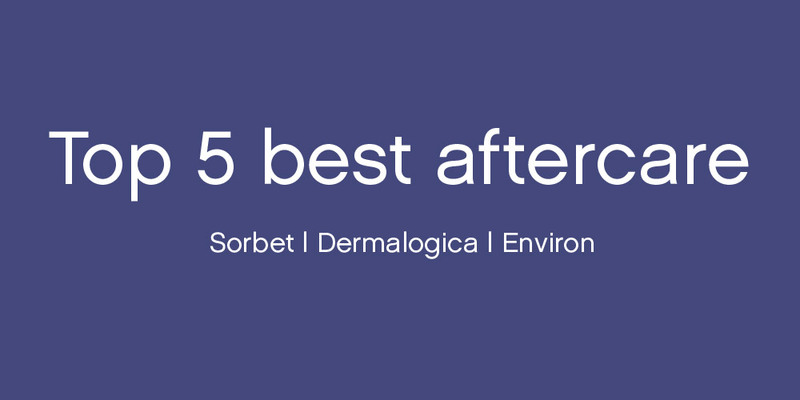 If you’re hydration obsessed (as much as we are) then head to your nearest Sorbet Salon for a fab facial from either Sorbet, Dermalogica or Environ & then check out the below products that we think are just a MUST in any Sorbies skin care regime. Psst! And for the flaky friend sitting next to you, be a darl, and send this article on to her too. It’s a MUST for a reason! A good cleanser is the start of it all! It needs to gently deep clean the skin, remove excess oils from the surface of the skin while maintaining the skins natural balances leaving it refined & rejuvenated. Dermalogica Skin Smoothing Cream & Sound Sleep Cocoon – Moisturise, moisturise, moisturise! The key to avoiding flaky and tight skin is to up the ante and moisturise double time now. This means, continue your regular day and night regime but, try the Dermalogica Skin Smoothing Cream, especially during these harsh winter days that leave our skin dehydrated during the cause of the day. How about trying a moisture rich night cream such as the NEW Dermalogica Sound Sleep Cocoon to enrich your sleep and recovery period. Trust us, your skin will thank you today, tomorrow and anywhere in between. Sorbet Daily Polish Powder – It’s not too late to exfoliate! That dreaded moment when your facial therapist asks you, under the criminal glare of the magnifying lamp, you know the one: “So, how often do you exfoliate?” You hit a blank, and try scramble for a million excuses. We’ve all been there! Sorbet Salon Skin Daily Polish Powder should be your answer. If you don’t already have a favorite serum, now is definitely the time to get one. It’s a great light moisturiser that won’t clog up your pores. If you aren’t ready to commit to a full bottle just yet, then try out the Dermalogica Multi Vitamin Power Serum. A nourishing test drive that won’t let you down. And there you have it! Our top 5 MUST haves to stay moisturized & hydrated all year round!